What If You Could Run Again? 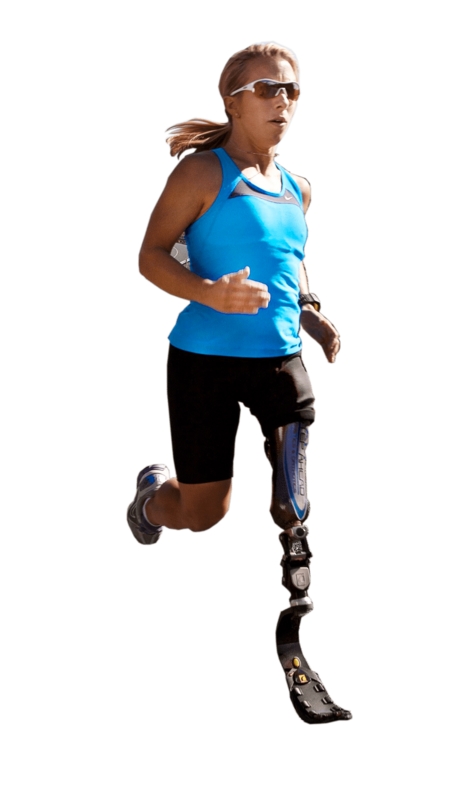 World-class prosthetic & orthotic care so you can do what you love again. What If You Could Walk Again? What If You Could Dance Again? We believe no physical disability should hold you back from your mobility dreams. And, no matter how it may seem, you’re not alone: we are alongside you every step of your recovery journey and no matter where life's journey takes you. You are not alone. We are with you every step of the way. Any amputee can recapture the lifestyle they had through proper prosthetic care and a team approach to rehabilitation. The journey is not one to be taken alone so let us join you and assist in getting you back to doing what you love to do. 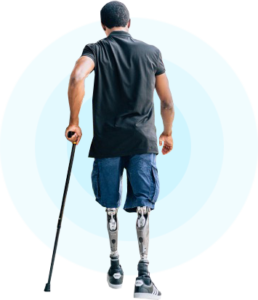 We’ve helped hundreds of amputees get the right prosthesis, customized for their needs, and guide them back into their active lifestyles and dreams. We want to do the same for you. We understand what it feels like to have pain or lose the ability to engage in the activities you love. Let us help you regain your mobility and reduce the pain. With our team of professionals, working alongside your therapists and physicians, we will make every effort to assist in regaining the most functional outcomes for you. We are proud to be contracted with VA hospitals to treat our nation’s veterans. Marco provides a level of service that is hard to find in the medical community these days. His understanding of prosthetics is superior and his support of the patients is unparalleled. In the “high value care” world of medicine, he hits all the marks. He expedites discharges by showing up quickly and always when he says he will. He educates our nurses, patients and families to ensure they understand how splints and shrinkers work and shows them the trajectory for a prosthetic limb. These careful steps prevent prolonged admissions and re-admissions. To top it off, Marco is also personable and kind. He understands the stresses of the amputation patients and walks them through the physical issues, and also the emotional needs. After seeing Marco, my patients have healed well, are up on their well-fitting prosthetics, and they are happy. Working with Limbionics has changed my life. I drove 9 hours to work with the Limbionic team, and it was worth every mile. 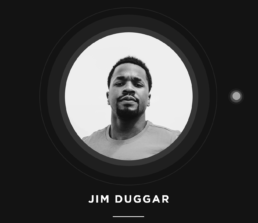 Before working with them I wasn’t able to be as active of an amputee like I wanted to be. I had a socket that limited what I can do, I wasn’t able to run, or swim, ride a bicycle or sometimes even walk. With the new socket from the team at limbionics I have gained my life back. I now can now do everything I’ve wanted to plus more with comfort and security in my new socket. 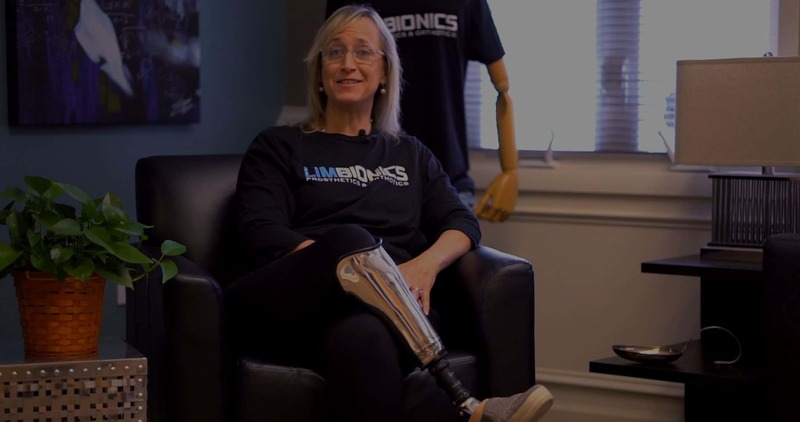 The knowledge and care from the staff at limbionics is unmatched! Marco provides a level of service that is hard to find in the medical community these days. His understanding of prosthetics is superior and his support of the patients is unparalleled. In the "high value care" world of medicine, he hits all the marks. He expedites discharges by showing up quickly and always when he says he will. He educates our nurses, patients and families to ensure they understand how splints and shrinkers work and shows them the trajectory for a prosthetic limb. These careful steps prevent prolonged admissions and re-admissions. To top it off, Marco is also personable and kind. He understands the stresses of the amputation patients and walks them through the physical issues, and also the emotional needs. After seeing Marco, my patients have healed well, are up on their well fitting prosthetics, and they are happy. As a physical therapist, I love working with LimBionics, and so do my patients! They are always so accommodating and do an amazing job! I would recommend Limbionics to anyone! Limbionics offers the most personalized service and they truly listen! They advocate and are creative in solving challenges, which you don't find in many other practices. I boldly recommend Limbionics! 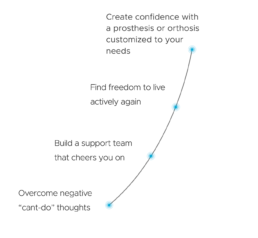 Are you ready to write your success story?